15 Top Tips for your wedding. 15 Top Tips for your wedding Decide on a realistic budget and stick to it Take a moment with your partner during the day to soak up the atmosphere The evening before, lay out/hang up all your clothes ready for the day Keep essentials in a bag with your bridesmaid, spare tights, hair clips, mini … More 15 Top Tips for your wedding. Leave a comment 15 Top Tips for your wedding. Favours – Not nutty about sugared almonds? Favours – Not nutty about sugared almonds? 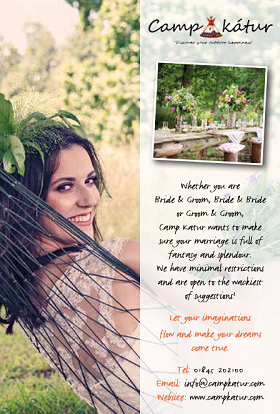 This is an area of your wedding planning where you can really get creative, and impress your guests. You want each and every attendee to go home with something special. Gone are the days where all you have for choice are some sugared almonds, here are some more … More Favours – Not nutty about sugared almonds? Leave a comment Favours – Not nutty about sugared almonds? TOP BEAUTY TIPS ‘to help you look amazing on your wedding day!’ Wash your hair the evening before your wedding so it’s easier to style Opt for waterproof mascara so you can shed tears of joy in confidence In the weeks leading up to your wedding keep yourself hydrated for clearer skin Stick to what … More TOP BEAUTY TIPS. Leave a comment TOP BEAUTY TIPS. A Celebrant? “What’s one of those?” I hear you ask…… A celebrant provides you with choice and individuality for your special ceremony. These days, there is so much freedom of choice, that there is no need to accept the traditional route if that’s not your style. There is no need to think that the only … More Wedding Celebrants. Leave a comment Wedding Celebrants. Confetti – it’s more than you think! Confetti – it’s more than you think! Getting married is one of the most exciting days of your life. Whether you’re planning a big venue wedding or a small intimate affair, make sure you don’t forget the confetti! When someone mentions confetti to you, what do you think? Do you imagine horseshoe and heart shaped … More Confetti – it’s more than you think! Leave a comment Confetti – it’s more than you think!